In an attempt to cut through the fog of misunderstanding and misinformation that surrounds South Africa’s membership of the International Criminal Court, a heavyweight panel of brilliant legal minds – including six former Constitutional Court justices – has briefed Parliament on what exactly is at stake. By SIMON ALLISON. Yacoob was speaking to journalists in Johannesburg on Wednesday morning, just hours after South Africa officially withdrew its notice of withdrawal from the ICC, following a High Court order last month that found that notice to be unconstitutional. Consequently – for now, at least – South Africa remains a full member of the international court. And, as per the High Court decision, if South Africa still wants to withdraw, it cannot do so on the orders of the president alone. Parliamentary approval is required. Yacoob, along with a stellar roll call of some of the most famous names in South African jurisprudence, had just submitted a briefing note to the National Assembly’s Portfolio Committee on Justice and Correctional Services. The briefing note sought “to clarify some commonly misunderstood facts about the [ICC]”, and was signed by former United Nations High Commissioner for Human Rights Navi Pillay as well as former Constitutional Court judges Laurie Ackermann, Richard Goldstone, Johann Kriegler, Yvonne Mokgoro, Kate O’Regan, and Yacoob. These clarifications come at an important time. Not only is it likely that Parliament will be asked to vote on whether South Africa should withdraw from the ICC, legislators are currently debating a bill that will repeal the incorporation of ICC rules into South African law. This bill was introduced shortly after South Africa announced its decision to withdraw last year; now that this decision has been revoked, the fate of this particular bill remains unclear. Either way, it is clear that the future of South Africa’s relationship with the ICC lies in the hands of our Members of Parliament. And South Africa’s legal fraternity wants to make sure that all Honourable Members are armed with facts rather than hyperbole. The briefing note is worth reading in full. In short, it argues that Africa needs the ICC, a point highlighted by the fact that the majority of cases involving African states were referred to the court by African states themselves. It argues that the issue of immunity for heads of state is something of a red herring, because there is only one case before the ICC in which this is a question. It also points out that although the South African government has suggested serious international crimes could be prosecuted by regional courts, there is currently no regional court in Africa that could handle such a case, and that the prospect of such a court being established in the short to medium term remains dim. The note’s recommendations are unambiguous. Yacoob and his esteemed colleagues believe that South Africa needs to stay in the ICC, and should work to reform the institution from inside rather than outside the tent. “The ICC works within an imperfect framework. However, leading nations like South Africa and its parliamentarians should spearhead initiatives to improve the court. This is something that can only be done from within the system,” the judges said. Yacoob elaborated on what those imperfections are. He said the role of the Security Council in referring cases to the ICC is problematic, especially because the major powers – including the USA, Russia and China – are not ICC members and would use their veto to prevent their own citizens from appearing before the court. 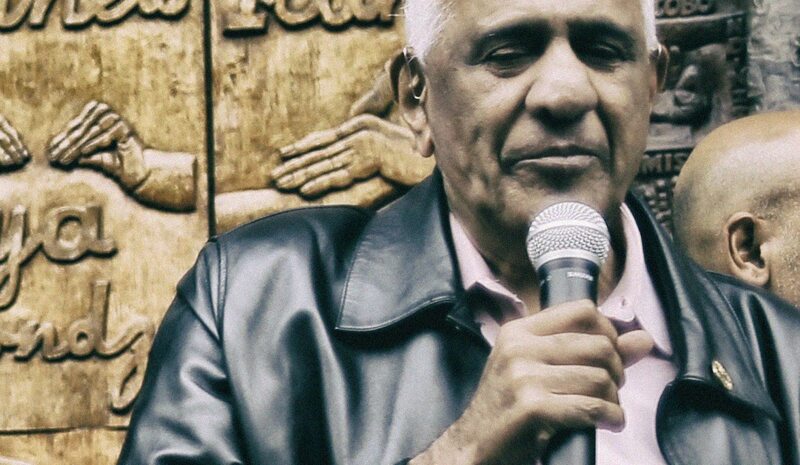 Photo of Justice Zak Yacoob by Greg Nicolson/Daily Maverick.